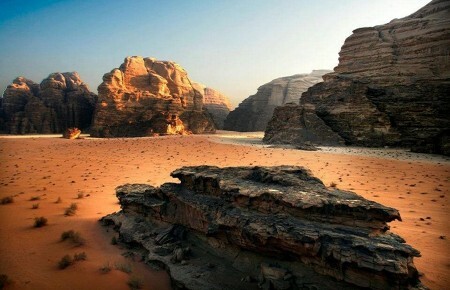 Tours to Jordan with Wonders T&T highlight the countries rich history, archaeological treasures and magnificent scenery. 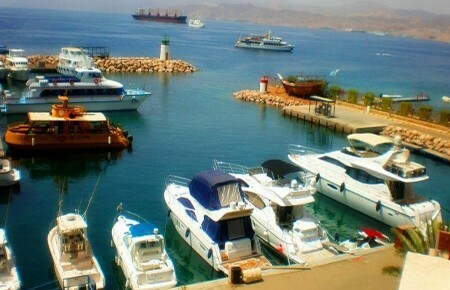 We create wonderful, innovative and cost effective travel programs and tours, we provide tours for all and any, starting with individuals ending with very large groups, accommodated with their own drivers, guides who are expert tour guides, they are personable, knowledgeable men and women with interesting academic and professional backgrounds, As well as we cover the most famous sights in Jordan, we pride ourselves on also showing our clients authentic, less “touristy” sights with excellent local guides. focusing on issues related to tour guiding. 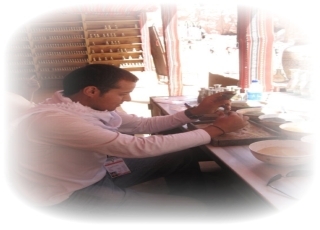 developing the profession and training cadres working in the sector, taking part in determining concepts and norms in the tourism sector to be in line with the local and international norms. Our guides are the most qualified and certified professionals available, and for us that makes them the best in the business. All of our guides go through intense training, unlike guides in other countries or ‘trip leaders’. Our guides and experience really stands out, and so we really want to brag about their knowledge and the in depth training they go through before we hire them! 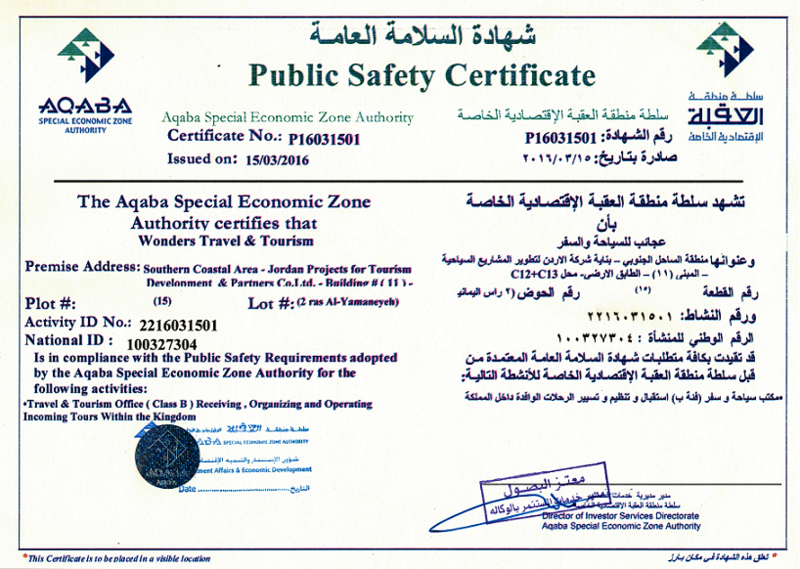 Offering high quality transportation services, thus, ensuring customers satisfaction and safety; and will continue to improve existing operations and introduce new services in accordance with the technology development and trends in tourism industry and in line with the National Tourism Strategic Guidelines. Wonders T&T continually evaluating additional vehicles to ensure the Firm gives the best up-to-date offers available in this very competitive market. 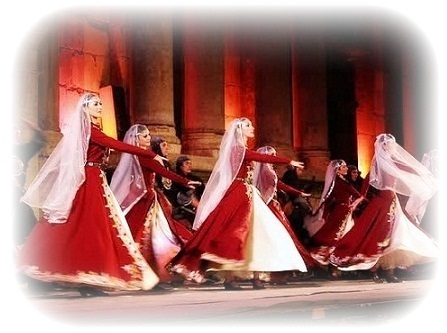 We are offering all the services for all types of tours. 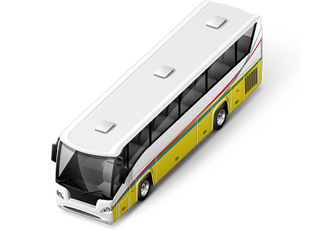 Book your tour with Wonders T&T, arrive in style.. Your well-being is always a priority. Whether you stay at the beach or in the city, enjoy a unique experience at a Hotel with its own identity, created in the image of its style.. Your search is end, Wonders T&T booking and rates, guaranteed – we’re unbeatable. Simply book your tour here and if you find a lower tour rate for the same hotel and accommodations for the same dates at any other qualified source, we will match that rate plus give you a $250 Wonders T&T Vacation Package coupon for your next trip! Wonders T&T mission is to be a Center of Event Management Excellence where creativity and quality is the epitome and heartbeat of the organization..
Conference & meeting management, special event equipment rentals, scenic design & construction services, box office & ticketing services, audio-visual & technical support services and extensive media production & broadcast capabilities. Our knowledgeable staff work together to create a “one stop-shop” approach to event planning for sponsors of meetings, special events, conferences and functions of all kinds. Wonders T&T believe that the journey is as important as the destination; we understand your holiday should be more than just “country tour”. 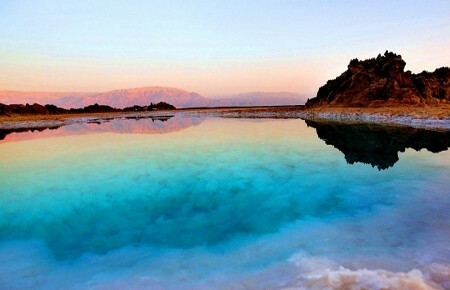 Our purpose is not only to show you the hole of wonderland but to take you deeper to such places in Jordan that make you wonder! 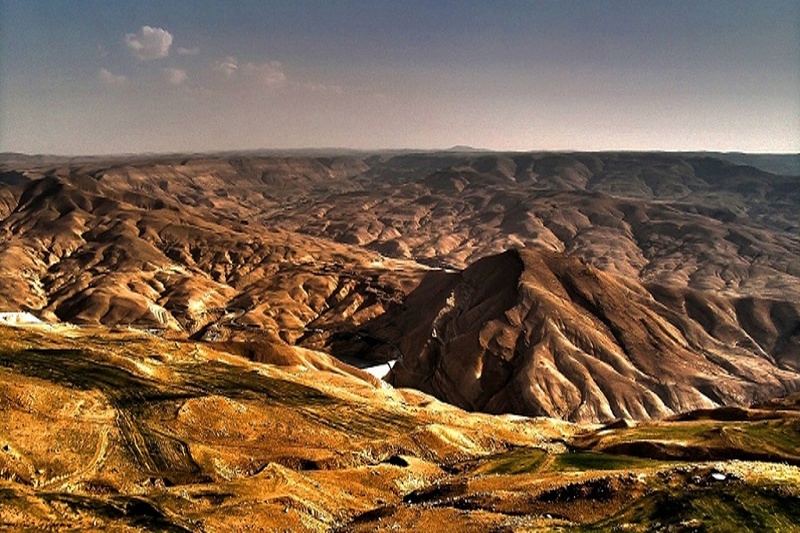 Tours are simply unable to reach our goals; Leave the typical tourist way behind and discover the real Jordan. 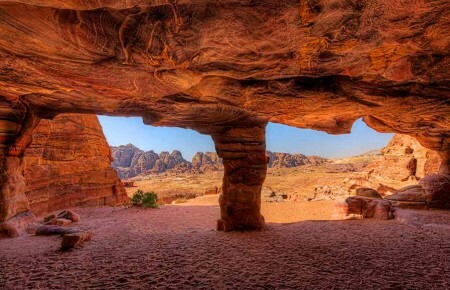 Visit small Wadi Musa village full of character, get inside the 4000 years old treasury in Petra, prepare lunch with the Bedouins in Wadi Rum, stroll down narrow country lanes in the south of Jordan or enjoy the peaceful beach of Aqaba, you simply won’t find anywhere else. We have no doubt the experiences you will have with us will be unique, exciting and unforgettable. There is no better way to travel. 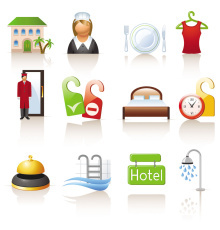 Wonders T&T is committed to providing top-quality, personalized service and fully sustainable tourism. 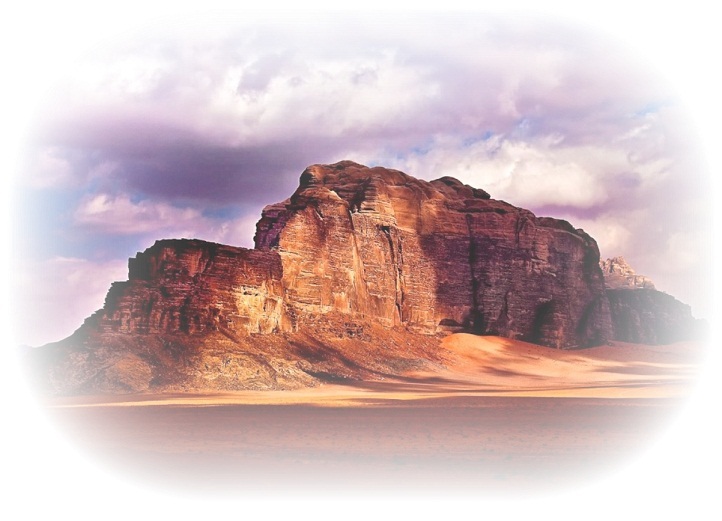 Our mission is to provide you with a memorable experience of the real Jordan; we want you to carry home the image of the Amazing Jordan to remind you of our remarkable country – exciting, exotic, interesting and unforgettable. Wonders T&T aim To deliver overall satisfaction to our travelers and clients and at the same time, fulfilling their requirements and needs with our dedicated staff. Wonders T&T is dedicated to not just meet, but exceed expectations, delivering total traveler satisfaction. 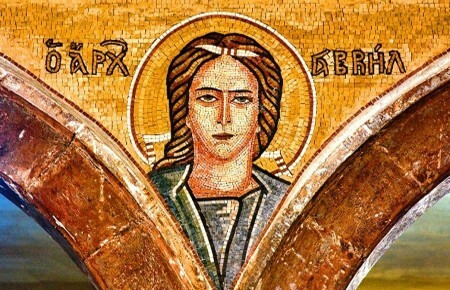 Quality is the backbone of every one of our tours. We are not content with mediocrity and cutting corners is not an option. That means, we seek out the finest trails available; and when on tour we insist on the highest standards of quality, not the cheapest. Impeccable organization, perfect prices, flawless service and Guaranteed OK! We have the most activity, accommodation and service options, and are able to secure priority booking at the Perfect prices for our customers. Wonders T&T not only knows what makes a fun vacation, but delivers it to the most exacting, professional and meticulous standards possible. Most of our tours start after Breakfast at 9:00 in the morning; we understand that you are in a vacation after all! That’s why huge outbound operators deal with us as inbound operator. 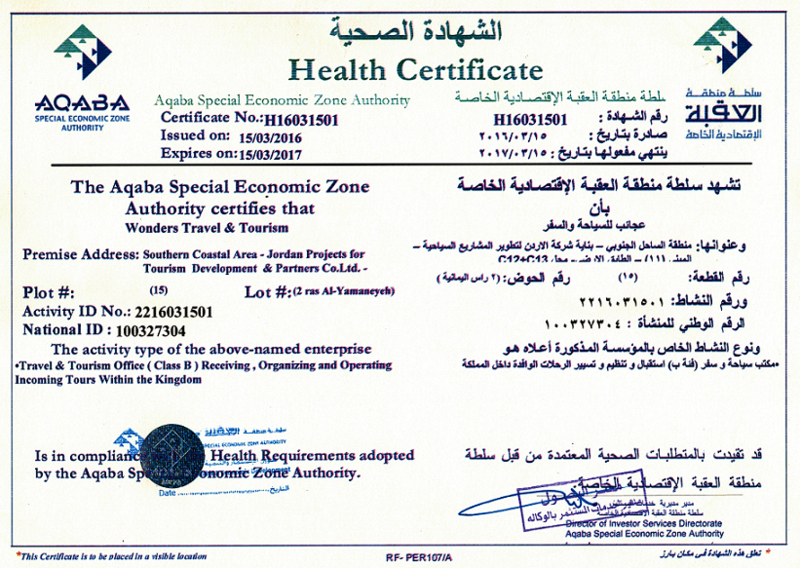 The vision of Aqaba Special Economic Zone Authority(ASEZA) is to transform the zone into a world class Red Sea touristic hub and leisure destination enhancing the quality of touristic services and prosperity of Aqaba Area, we are supported and controled by ASEZA, that is why we have the lowest prices and finest service quality. You can call us any time during the day as per your convenience on the number given in our website; our executives will happily assist you. Your money is secure. 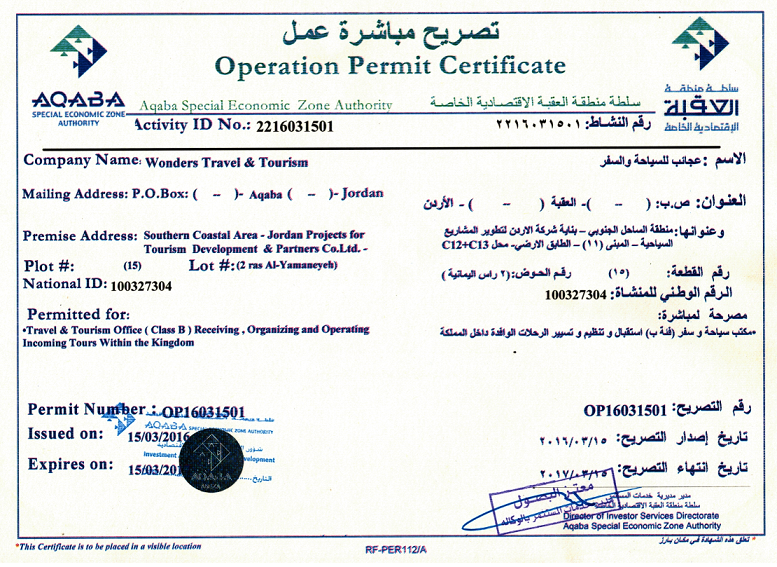 The Ministry of Tourism & Antiquities of Jordan require us to provide security for the monies that you pay for the package tour booked by us, and for your repatriation in the unlikely event of our insolvency. With us, you are not just a number. Every Wonders T&T traveler is important. 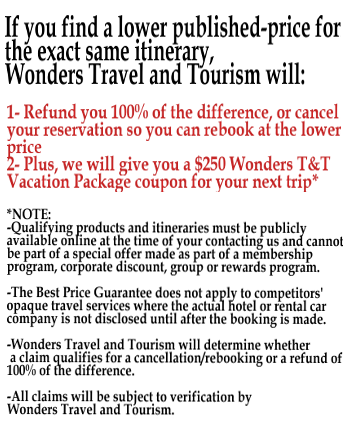 We really care that you will be more than satisfied with our services because we want you to book with Wonders T. &T. again and recommend us to your friends. 1- Refund you 100% of the difference, or cancel your reservation so you can rebook at the lower price.